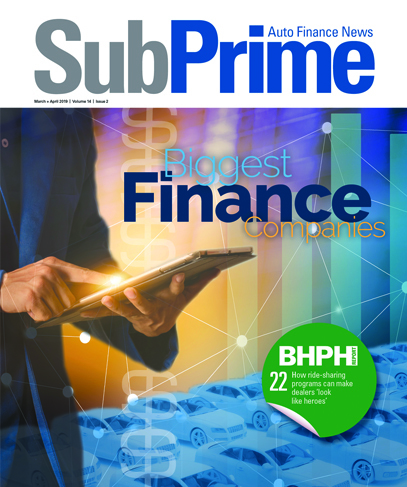 With more data than ever to consider, the National Automotive Finance Association and the American Financial Services Association highlighted seven of the most important findings from this the 2018 Non-Prime Automotive Finance Survey. Released last week during the annual Non-Prime Auto Finance Conference, the NAF Association and AFSA collaborated with FICO, TransUnion, IHS Markit and Black Book to generate the report that serves as a key source of benchmarking for those who participate in or support non-prime automotive financing. The 2018 report represents 40 financing sources and $34.6 billion in principal balance as of the end of 2017 — an increase for the seventh consecutive year. In addition to key financial metrics, this report helps to promote best practices and collective knowledge of leading industry professionals to ensure that financing companies can meet their portfolio goals and work effectively with their dealers, liquidity providers, vendors and other partners to create compelling customer value. This year’s data survey has been managed by FICO and provided the analysis and conclusions in the report. • Non-prime portfolio balances have increased 5.3 percent year-over-year in 2017. However, the number of contracts originated in each of the last two years has decreased. • Competition remains robust overall, but niches of underserved sub-segments still exist. • Financial metrics were mixed overall and softened for some. • Automated origination activity is increasing. • Used-vehicle depreciation was mitigated by destructive hurricanes, which increased the demand for used vehicles. • The customers of non-prime auto finance companies represent mainstream America. The survey report, which has been produced for the past 22 years, is distributed at no cost to finance company participants. Others may purchase a copy of the report for $500. Ordering is available online at nafassociation.com.